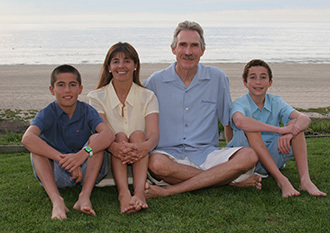 Dr. Turley is a native Southern Californian having grown up in Los Angeles before moving to Whittier at the age of 13. He attended Whittier College and graduated with a Bachelors Degree in Biology and Chemistry. He entered the UCLA School of Dentistry and upon graduation, he was awarded special recognition from the American Association of Orthodontists. His research on computerized prediction of wisdom tooth impaction brought him wide recognition. Following dental school he was accepted into a special post-doctoral training program at the University of Washington in Seattle, where he was dual trained in Orthodontics and Pediatric Dentistry. He was a resident at Children’s Orthopedic Hospital in Seattle, where he gained extensive experience in managing traumatic injuries, and working with chronically ill children. 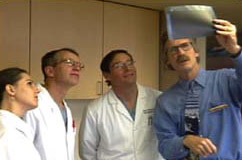 Following his training in Seattle, Dr. Turley returned to Southern California where he was recruited to join the faculty of the UCLA School of Dentistry. He was awarded tenure and later appointed Chairman of the Orthodontic Department. He acquired extensive experience in treating adults and directed the training of orthodontics and oral surgery residents in the management of complex adult patients undergoing jaw surgery. He conducted pioneering research in several areas including the use of implants in orthodontics, and the correction of underbites in children. Upon his retirement from teaching at UCLA he was recognized by the California State Assembly and California Senate. "In honor of the twenty-four years of outstanding dedication to educating and mentoring the doctors who keep our community smiling as a Professor of Pediatric Dentistry and Orthodontics at the University of California, Los Angeles." His techniques are now routinely used by orthodontists throughout the world. Internationally renowned for his innovations in orthodontic care, Dr. Turley has lectured in over 30 states and 20 foreign countries. He has authored more than 60 articles in scientific journals. Past-President of the Pacific Coast Society of Orthodontists, Dr. Turley is a Board Certified Diplomate of the American Board of Orthodontics. Dr. Turley has been honored by the University of Michigan, Indiana University, University of California San Fransisco and the Connecticut Orthodontic Association. Having practiced orthodontics since 1979, Dr. Turley specializes in creating beautiful smiles for both children and adults through state-of-the art orthodontics. Dr. Patrick Turley is married to Dr. Patricia Turley, a Pediatric Dentist and they have two sons Connor and Ryan. The Dr.’s Turley play an active role in their church and community, donating services for fund raising activities, conducting dental screening exams at local schools, or speaking about proper tooth brushing, diet and home care to school children and their parents. They are financial supporters to many charities including: American Red Cross, Children's Hospital, City of Hope, Heal the Bay, Manhattan Beach Roundhouse Aquarium and St. Jude Research Hospital. Their free time is spent with their sons, often at the beach surfing or playing volleyball. Having grown up in Southern California, Dr. Turley developed a love for the beach at an early age. 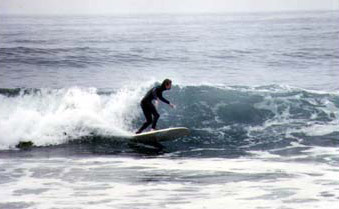 Following in the footsteps of his older brothers who started surfing in the 1950’s, Dr. Turley became an avid surfer in the 1960’s, when he also began to play beach volleyball. He was a rated beach volleyball player for four decades. He and his partner won the California State Championship and then the National FOVA Championship in 1992. Dr. Turley also performs as the lead singer in “Tom Thumb and the Hitchhikers”, an oldies band that has played numerous events in the Southern California area for over 30 years.